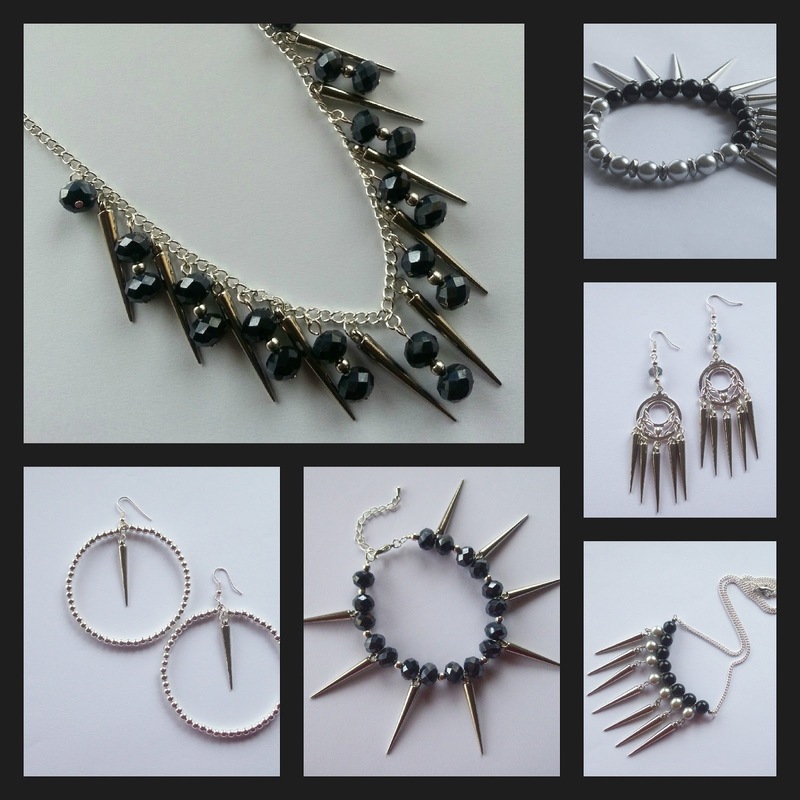 Michelle's Handcrafting Blog: Get Spiky! I must say I have missed not blogging on a weekly basis, but at the moment, time is in short supply, I've been busy getting ready for my first ladies night/craft fair on the 28th June 2013. It is taking place at the Highwoods and St John's Community Centre, in Colchester, Essex. I've been making extra stock and jewellery display materials, earrings cards e.t.c. lots to do, but I'm enjoying every minute of it. Whilst I've been busy preparing for my show, I've also created a new jewellery collection, called the 'Get Spiky' Collection , featuring bracelets, necklaces and earrings, adorned with silver spikes. Spike jewellery has become one of this years hottest jewellery trends. Spikes do add a gothic and punk edge, to any type of jewellery, I have mixed my spikes with crystals and pearls.